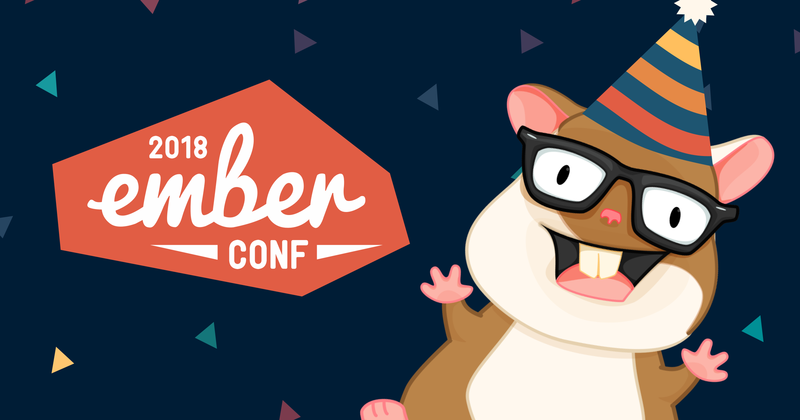 This week we are busy gearing up for EmberConf 2018, which is only a couple days away! In this edition we’ll check out EmberConf’s public live stream and take a peek at the blazing pace of Ember’s development. Can’t make it to Portland? No problem! You can access the live stream here and there’s closed captioning too. The event kicks off on March 13th at 9:30am PST with a keynote from Ember’s founders, Tom Dale and Yehuda Katz. The full schedule of talks is available on the EmberConf website. Join in on the #conf-emberconf channel on Slack to participate from afar! is now live! It shows you how to use the new ember-qunit syntax and @ember/test-helpers correctly, so you can build and test your very first Ember app right from the start. You can check out the new step-by-step tutorial on how to build an Ember app on here. Lots of other contributions trickled in this week to fix and improve the official Testing Guides, to make it even easier for you to get started with the new Testing API (3, 4, 5, 6, 7, 8, 9). You can check out the full Testing Guides on here. The Ember deprecations app is live! The deprecations site might look the same on the surface, but this new Ember app showcases some cutting-edge engineering patterns! Written content in Markdown form is turned into pre-rendered content using Fastboot and prember. It supports syntax-highlighted code blocks too, with ember-prism. This architecture allows for super-fast time to first paint and helps with some SEO problems that SPAs (single page apps) often face. You can check out the source code here. Let’s take a look at how a few different Ember projects are moving along! These are stats from the past month alone. This is an incredible pace for a group of volunteers from all over the world. If you’re at EmberConf, please let them know how much you appreciate their work. Ember.js: 33 authors have pushed 127 commits to master. 288 files have changed and there have been 9,970 additions and 8,536 deletions. Ember Inspector: 9 authors have pushed 15 commits to master. 151 files have changed and there have been 5,619 additions and 5,047 deletions. Ember Data: 10 authors have pushed 20 commits to master. 62 files have changed and there have been 4,337 additions and 2,063 deletions. Ember CLI: 16 authors have pushed 42 commits to master and 47 commits to all branches. On master, 126 files have changed and there have been 2,639 additions and 637 deletions. Ember Guides: 43 authors have pushed 44 commits to master. 38 files have changed and there have been 1,229 additions and 1,173 deletions. And in the last episode of Readers’ Questions…. A month ago, we started a new section of the newsletter where our lovely readers can submit questions for the Ember core teams to reply. Now is your chance to catch up with answers you might’ve missed before, or that you want to give another re-read. Got a question for the Core team yourself? Submit your own questions here!